Prati has come a long way as a residential venue. Once a working class “suburb” of the city center, it turned chic about 1980 and now houses politicians and artsy types. Which admittedly can and does send prices soaring. 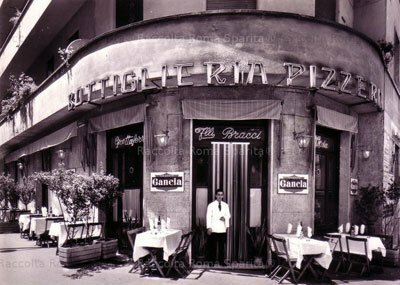 Opened in the 1950s and in famiglia for several generations (Arcangelo Dandini is the owner), this place may not look like much from the outside. 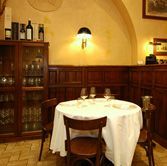 The food is made to please the locals, and succeeds, which is high praise in a demanding hood. Try the lamb with roasted potatoes, puréed capers and pecorino dolce. Ziti pasta is mixed with candied lemon, mint and a slices of ricciola.